Carole Ann Clipperton, 81, of Millsboro, DE and formerly of Rockaway, NJ passed away at home in the loving care of her family on April 4, 2019. She was born in Summit, NJ on November 15, 1937 to the late Leonard Stonewall Johnsen and his wife, Cecile Degrenon Richmond Johnsen. She graduated from Summit High School, in Summit, NJ. She also graduated from the Newark Public School of Fine Arts and Industrial Arts. Carole married Thomas Ward Clipperton on April 28, 1973. 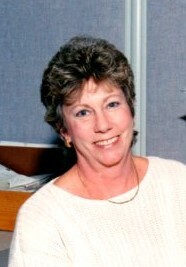 She was a retired file clerk supervisor for Automatic Switch Company. She loved birdwatching and photography. She had a real knack for interior design and was ahead of the curve on what was “in” and “out.” She was devoted to her family and would do anything for them. She never complained, even when rough spells happened. She was warm, welcoming, and had a terrific sense of humor. She was an all-around great person. She is survived by her husband, Thomas, and two children: Robert William Mitchell (Lisa) of Budd Lake, NJ; and Dean Frederick Mitchell (Mary) of Lewes, DE. She also has a step-daughter: Cori Clipperton, of Hackettstown, NJ. She was preceded by two step-children: George Clipperton and Shandra Huelsenbeck. Carol is also survived by a brother: Leonard Stonewall Johnsen, Jr. (Patricia) of Merrill’s Inlet, SC. She is also survived by her grandchildren: Laura; Kelly; Erin; Ryan; Kyle; Tyler; Nicholas; and Dylan. She was preceded by one grandson: Derek. She has one great-grandchild: Chase. Also surviving are her niece, Holly and nephew, Chris along with cousins, extended family and many, many friends. A Memorial Service and Celebration of Her Life will be held at a later time. In lieu of flowers, the family suggests memorial contributions to the Tunnell Cancer Center, 18947 John J. Williams Hwy, #101, Rehoboth Beach, DE 19971.